Ashlee is a Registered Veterinary Technician who graduated from the Algonquin College Veterinary Technician program in 2009. 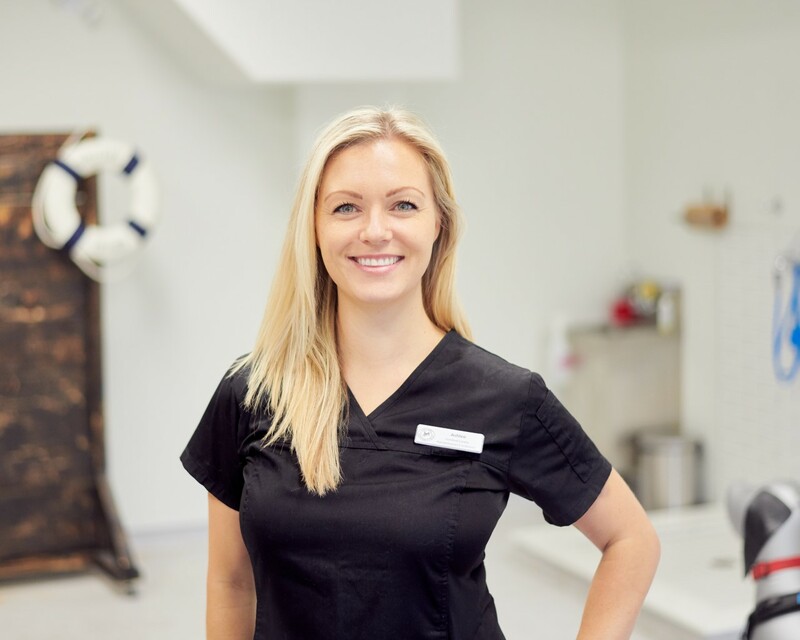 After working 3 years in the ER at a large referral clinic in Ottawa she moved to Toronto in 2012 and joined the Neurology team at the Veterinary Emergency Clinic. The experience Ashlee has gained in the past 6 years working for the neurology department sparked an interest in rehabilitation; she saw the need for helping pets and owners achieve their best results post-operatively through the rehab process. In 2014 she pursued her Certified Canine Rehabilitation Practitioner distinction through the University of Tennessee, where she was able to implement her knowledge into the clinic to provide clients and patients with the resources and support to aid in the recovery period. In her spare time Ashlee enjoys yoga, running, travelling, going on hikes with her dog Ava or cuddling up with a good book with her cat Draper.